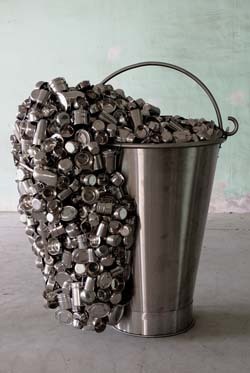 Subodh Gupta employs many of the original techniques of French conceptualist Marcel Duchamp by elevating the ready-made into an art object. 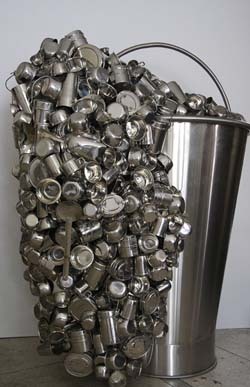 Gupta chooses signature objects of the Indian sub-continent and relocates them as art objects in monumental installations of stainless steel and tiffin-tins. 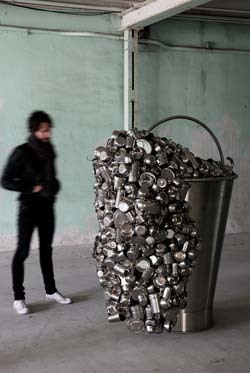 Spill is an overbearing work of great scale that has at its centre a larger than life stainless steel water vessel, with many smaller steel utensils spilling over the edge like water pouring out. 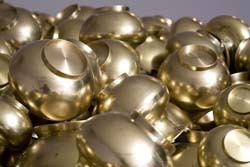 U.F.O 2007 is another work made up of hundreds of brass water utensils that are soldered together to resemble a flying saucer. 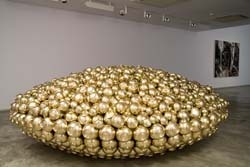 This gleaming sculpture is amusing yet pertinent to ideas of sustainability, poverty and notions of otherness. 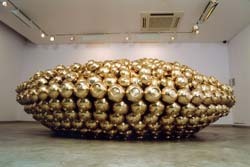 The repetition of forms and the exaggeration of scale is a common element in Gupta’s work. 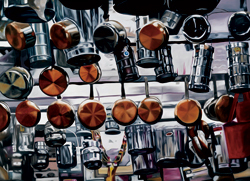 Gupta’s painting Still Steal Steel is a strange juxtaposition of a still life of steel utensils in the fore-ground, with a slightly garish floral design in the background. 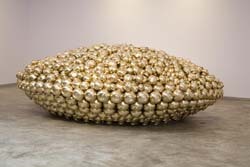 Gupta employs the effectiveness of a hyper-realist palette that suggests that the objects are more real than reality might allow. Gupta’s configuration of steel utensils along with the introduction of a floral element appears to reference a hierarchy of decorative forms. 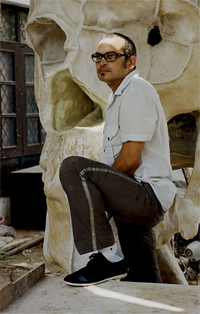 With Untitled (Pot) Gupta manages to elevate his ready-mades to positions of grandeur. 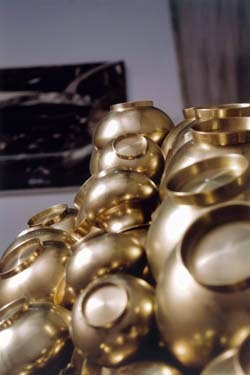 His still-life paintings appear to celebrate objects in space almost as successfully as his ready-mades do. 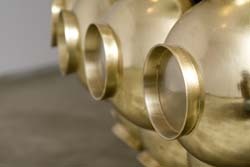 Row upon row of copper based utensils and tiffin-tins hang from a kitchen ceiling. 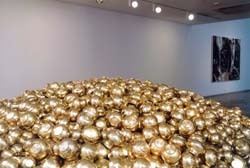 Gupta’s paintings transform the objects to appear more valuable than usual.